Getting the right party dress can be a headache, and I bet you girls know how stressful can it be, right? But once found, a party dress can be something stunning and wows the crowd. However, creating the ensemble and getting a well-put together party dress look can be exhausting. Sometimes, I just feel finding the right accessories and fashionable heels and assemble them in the stylish way to create a great party style can take so long! But no worries babes, here is an easy guide that offers suggestions to fashion-conscious ladies on tips for styling party dresses to put together an ideal ensemble! 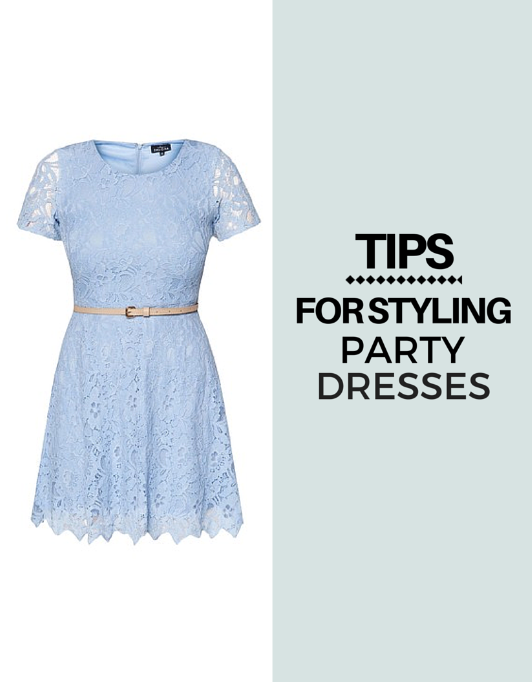 When you are putting together a party dress look, try to avoid having too many points of interest in the ensemble. For example, a dress with a good deal of design detail should never be paired with a large pair of earrings or shoes that feature excessive design elements. Choose only one area of focus and use the rest of the elements in the outfit to complement the central detail. Haha, you don't want to look overdressed at the end of the day right? When you apply makeup to go with the party dress, you might want to consider it as the key part of the ensemble. The makeup choices should reflect an overall sense of balance and carefully placed accents. I personally love hot pink lips with stunning eye makeup. As I said earlier, the dress doesn’t always need to be the centre of attention in your ensemble. 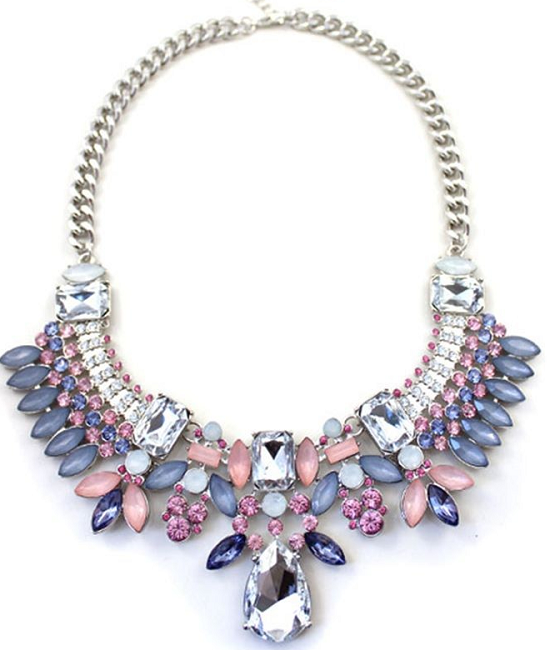 A bold necklace that acts as the focus of dramatic choice can make your ensemble looks elegant too! 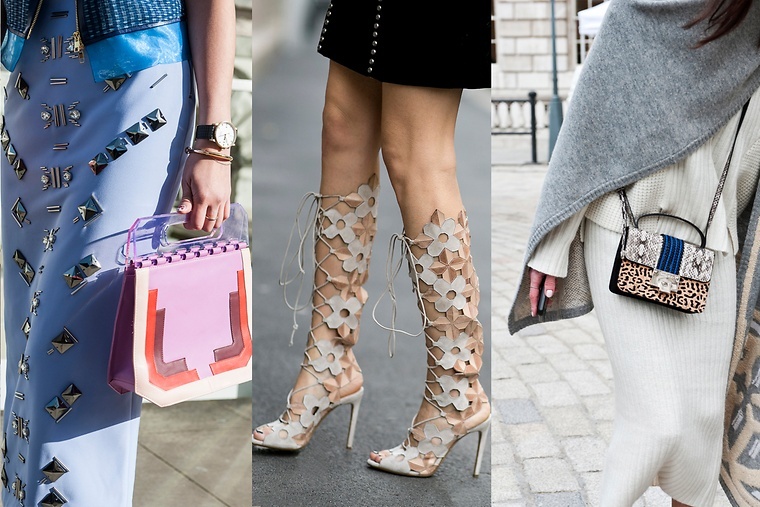 Or perhaps something bold for bags and heels too! Hi Miera, I believe everyone can flaunt the style in different ways :D I love the sweet type of dresses too!! You wear anything pun looks stylish!~ Thanks for the tips! Hi Kylie, you're just too kind my dear! :D Hope you like the article. I should take note of this, a fashion noob like me have no sense of style. Hohoho. Dear Anis, you must be really humble! Coz' I think your style is nice :) Thanks for your compliment by the way. Hi Michael, thank you! Hope you enjoy reading! Hi AyuArjuna, thank you! Hope you enjoy styling too! Dear Selina, thanks for your kind words :) Hope you love styling with different pieces too. I have a similar black lace dress and usually just pair it with a colourful belt. I really need to hunt for a matching pair of necklaces. Dear Em, yeah a black lace dress can be so versatile and easily matched with anything right! :D Hope you find your type of necklace soon. Dear Aliza, me too!! Hahah. Am still hunting for one! Just remember girls, at times, less is more. Just remember not to color coordinate ok.
Dear Rawlins, it's true :D sometimes going back to basic is just perfect. That heels is to die for, so bold and gorgeous. Hey Kelly, I have the same thought too!! Wish to own that pair! really good tip fish. Now you're the go-to person for fashion tips ya. >< any for men? the dresses are really your style, i can just imagine you wearing them! so thanks for the tips!